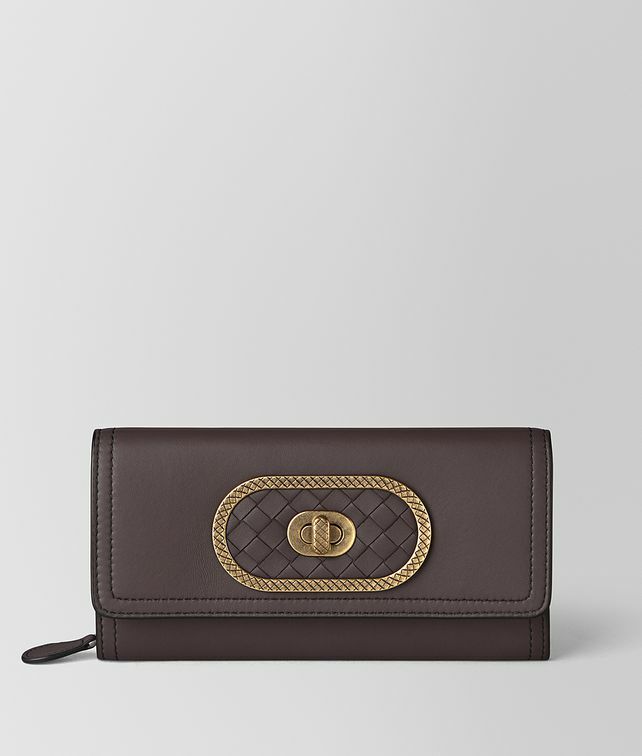 This elegant continental wallet features the distinctive Ellittica fastener with a dark-gold twist-lock within an oval of intrecciato nappa framed by engraved hardware. Hand-crafted from smooth nappa leather, the style is accented with black hand-painted edges and a double seam. It features an external pocket and a nappa interior fitted with eight card slots and a zip compartment.